Linda (Oma) moved to Salt Spring Island in 2013 with the intention of creating a garden/nature retreat. She was a passionate lover of nature. Birds, trees and flowers all thrived under her care. Linda cherished and stewarded the land both on Vancouver Island where she lived together with Stanley for 40+ years and again here on Salt Spring where together with her family, her creative energy transformed 134 Douglas. 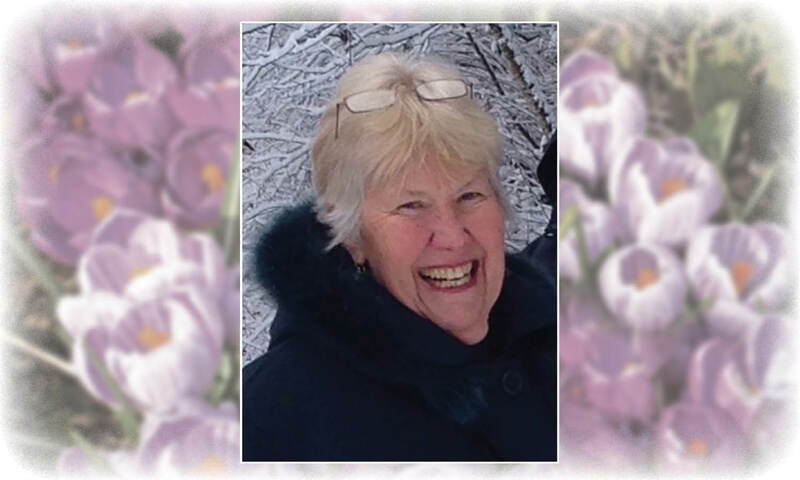 Linda volunteered endlessly throughout her life, always willing to lend her huge energy, positive, practical, nature and eye for detail to a good cause. She delighted in new friendships made on Salt Spring as well as the fellowship and warmth of the Salt Spring United Church. A larger celebration of life garden tea will be held in her garden at 134 Douglas on August 17th 2019. In a word, to let the spiritual, unbidden and unconscious grow up through the common.